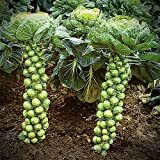 Brussels sprout growing leaf plant of the species Brassica oleracea in the Gemmifera group, Brussels sprout grow as annual but the flower biennial plant, grow in temperate, mediterranean or subtropical climate and growing in hardiness zone 2-10a spring planting 10a-11 in autumn planting. 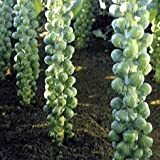 Brussel Sprouts, Long Island Improved Seeds, Organic, NON-GMO, 25+ seeds per package,Brussel Spouts are super healthy. 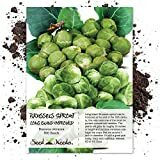 They are also low calorie.